As we gear up for the highly anticipated Hour of Code next week (great time to look back at Getting Smart on Coding for College & Career Readiness), and with the new year just around the corner, we’re reminded by this week’s EdTech news that when it comes to improving conditions for students and teachers, it means constant changes to how we learn. Hittin’ the Road. CompetencyWorks’ Chris Sturgis has been on the road visiting competency-based schools. In a recent series, she shares stories, insights and promising practices from Maine’s Casco Bay High School (featured in our 66 Middle and High Schools worth visiting & our Deeper Learning School profile project). Turning around. School networks are one of the most important innovations in modern era of US K-12 education. With this mind we were excited when over 135 leaders from CMOs that have led at least one school turnaround, funders and state and local achievement/recovery district leaders representing over 20 states gathered to assess and accelerate school turnaround strategies. According to Sajan George, customization is key to turning around the bottom 5% schools. Speaking of networks. The Big Picture Learning Network, comprised of 55 US schools as well as international partners, is hosting their annual leadership conference December 9-11 in Denver. 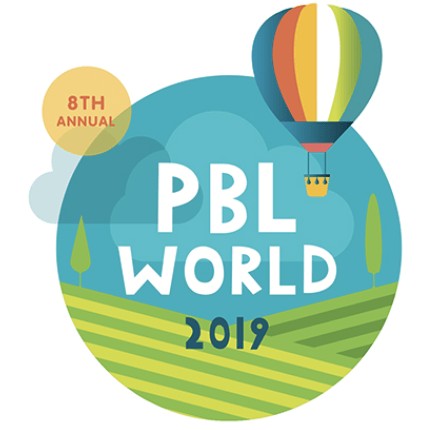 Not only will BPL leaders be attending, but other leaders from across the country–including other networks–will be visiting a Big Picture Learning school and experiencing deeper learning in action through a series of deep dives and workshops. Colorlines. In an article in The Atlantic, Mel Jones shared that many millennials of color are less likely to receive financial support from parents for education and work related responsibilities, which is putting many young black and brown Americans in a financially tight spot when it comes to making important life decisions about where their money goes. Navigating life decisions is difficult, that’s why we chose this as the topic for our most recent Getting Smart Podcast — GenDIY Emerging Options for Students Navigating Life. 11th Hour. We’ve reached the the final countdown (cue the music) to the annual Hour of Code event. Code.org, the leaders in the global movement, released a video for all the educators asking how to run an Hour of Code in their school. Round of Applause. iNACOL and 24 other learning focused organizations including ExcelinEd, CompetencyWorks, and The Learning Accelerator, delivered a letter to Senators Alexander & Murray, and Representatives Kline and Scott, applauding the recent agreement to reauthorize ESEA. The final bill language makes changes to the federal requirements on state systems of assessments, which removes federal policy barriers to competency-based and personalized learning. Language Creates Stories Worth Sharing. Our work with Rosetta Stone in both The Next Generation of World Language Learning and Elevate and Empower showed that world language teachers are key players in the shift to competency-based blended and online learning. That’s why we’re pumped about the news that Rosetta Stone Education recently launched the “Language Creates” microsite specifically designed for world language teachers. We like how the site offers teachers access to an on-demand professional learning through webinars, videos and 24/7 support in addition to a growing repository of resources. Teachers can also join the Rosetta Stone Teacher Ambassador Program to connect with other teachers and share their own stories. What Matters Most. K12 Inc.’s Teachers Matter program was built to recruit and hire, retain, evaluate, coach, develop and advance teachers. In Teachers Matter at K12 Inc., they identify eight key program elements to support online educators. Mark your calendar. The Council of Chief State School Officers (CCSSO) is hosting a two-part webinar series featuring Educator Competencies for Personalized, Learner-Centered Teaching, a resource that outlines unique competencies that educators need to create and foster personalized learning environments. Register for the December 9 webinar here. Next articleHow Can Cities Help Youth With the School-to-Work Transition?